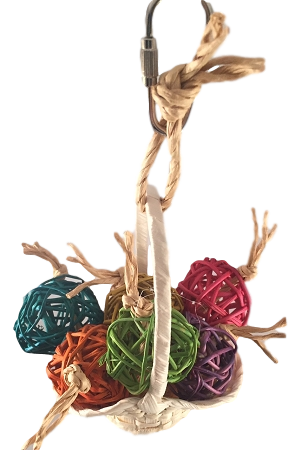 This super cute 3" handwoven palm princess basket has 6 colourful 1-1/4" vine balls tied in. Overall size is 3.25" wide by 4" high. Suitable for tiny and small sized birds. An original Feathered Addictions design.